As elusive as Johannesburg weather can be, it is too early in the morning to discern whether the sun will come out or it will remain overcast throughout the day. As I arrive at the venue, to my surprise, Kefilwe is standing on the patio sporting a grey tracksuit, a bare face and a perfectly laid bob whilst simultaneously on a phone call. “I’m always on time”, she professes as she walks towards me a minute later with her phone in hand. Glancing down at her screen as per her direction, it is gradually dawning on me that my communication regarding the call time was unclear and I can feel my nerves starting to overwhelm me as a result of this error. Nevertheless, it is this authority and certainty of who she is and what she stands for that led me onto her profile years ago. I can confidently say that she is one of the few people I have met whose physical presence matches her online demeanour to a tee; while at the same time, it is the complete opposite. 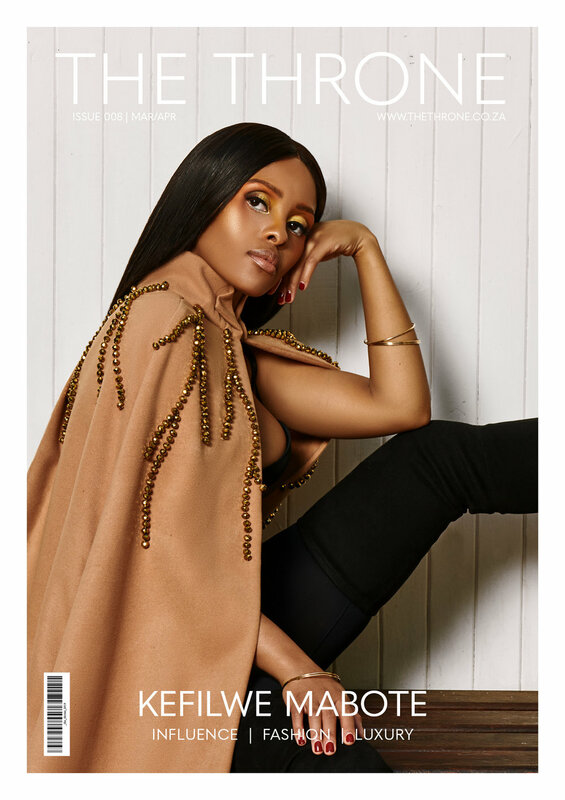 Stylist, Blogger and Businesswoman Kefilwe Mabote’s ability to express herself through the intersection of fashion, lifestyle and luxury culture is arguably unparalleled in a South African context. For context’s sake, Dior Makeup and Jean Paul Gaultier are currently tied when it comes to her favorite campaigns to date. As for where it all began, the Sowetan born and bred beauty reflects back on her childhood as ordinary. “I had a normal upbringing just like any other child who grew up in the township. From an early age I was taught to respect others, especially the elders. I did my primary schooling in Soweto and later completed my final year of secondary school at The National School of the Arts (NSA). Thereafter, I enrolled at VEGA to study Graphic Design; I also have an uncompleted Bcompt Degree at Unisa. I suppose after some time, I realized that my actual passion was to be a women’s stylist. So, I decided to register for an Image Consultancy Diploma with The Wardrobe Academy based in Cape Town”. For someone who is very rarely vocal about anything outside the parameters of her career, it is pleasantly surprising to experience how effortlessly she opens up as the day progresses and above that; how comfortable and accommodating she is of everyone around her. “Let me call my man”, she murmurs in between laughs and chit-chat during fittings. In case you are wondering who that is, she chuckles some more and insists that she is not hiding her love life. “I just feel we all have reasons in terms of why we post certain things on social media. My reasons for posting are work related and not personal per se. I prefer to keep my personal life at just that – personal”. Kefilwe is taking the odd phone call while perfecting looks according to her frame with the stylists on set; after all, this is her area of expertise. “People don’t know this, but apart from my mother who I regard as someone I look up to more than anyone else as a source of inspiration, the key influence behind my journey is anger. I literally owe my success to bullies and people who have undermined me at different points in my life. These people have been the key catalysts to my overall success”. Unsurprisingly, she is just as meticulous with every single detail when it comes to her image and appearance. As we finalize her first look for the day, she looks absolutely flawless in a floor length cloak from Mozambican fashion designer Shaazia Adam’s Autumn/Winter 2019 Runway Collection however, we deviate into banter around whether we can Photoshop a chip on her burgundy nails. Ironically, she has to channel a completely different energy and get into character because her high-spirited an exuberant nature cannot help but jump out like a reflex. Once in character, she is pretty much nailing her role with little to no direction. “I have learned that I am a leader, and the fact that I am a leader in my industry comes with a huge l responsibility. It is important to be a good role model because there are so many young women who are looking up to me”. A wardrobe and make-up change later she returns to being herself again. Fittingly, Kefilwe is dressed in Witchery’s Lola Dress a week after returning from Australia where she showcased the brand’s upcoming Autumn/Winter 2019 collection alongside Sarah Langa. She cites these experiences as the most interesting part about what she does. “I love traveling for free!”, she laughs. “I also enjoy the fact that through traveling I get to see and experience the world in a way that really broadens my mind”. Her journey is evidently the product of a clear vision combined with consistent work and a certainty about who she is and what she stands for. Kefilwe has handled everything that was asked for and required of her in the most professional and poised way possible. While I can admire where she has arrived, I am inquisitive about the road ahead. She tells me that she loves and prefers a shock revelation. She does at least share that there is something interesting she is currently cooking up. “I can’t wait to share that with everyone - but only after it’s finished. I love surprises!”. For the most part, I am now left in awe as much as I am effortlessly at ease around her. As far as her immediate goals, she is aiming for more aesthetically daring looks and images as well as a more editorial approach. “Don’t forget to send these to me. I’m working on a different feel for my feed”. While we prepare for her final look, Kefilwe’s phone appears to be blowing up at increasing rates. There is a miscommunication between her driver and her son’s Au Pair. The mother of two appears to be more irritated than anything else at this point because it is interfering with her job. She then asks me to pretend to be her Personal Assistant and make a call on her behalf to express how unimpressed she is by the whole thing. “This is un-acc-eptable!”, I declare. She is extremely proud of my acting skills in this moment and we laugh about the fact that the situation was handled directly after our joint performance. “Passion is very important; and passion requires a lot of dedication and focus. Rome wasn’t built in a day. It took years and a lot of hard work to become what I wanted to be”. It is both comical and relevant that her final look encapsulates the entire scene that just happened. 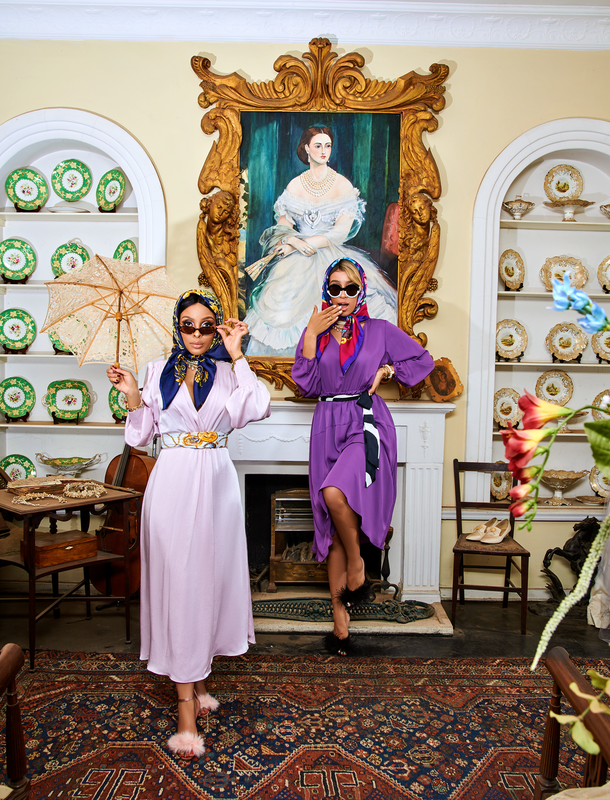 Kefilwe is styled in an Erre Fashion fur coat in one of the most opulent rooms in the venue, looking like wealth. “Wait! Please get me my Rolex in my bag? It looks more rich.” And in that moment, we were all simultaneously inspired, in stitches and even more in love with her.